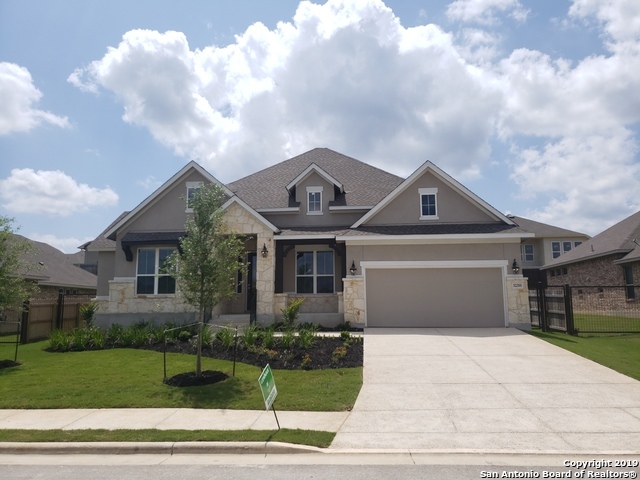 All JOHNSON RANCH - COMAL homes currently listed for sale in Bulverde as of 04/20/2019 are shown below. You can change the search criteria at any time by pressing the 'Change Search' button below. "New Construction Monticello Home. 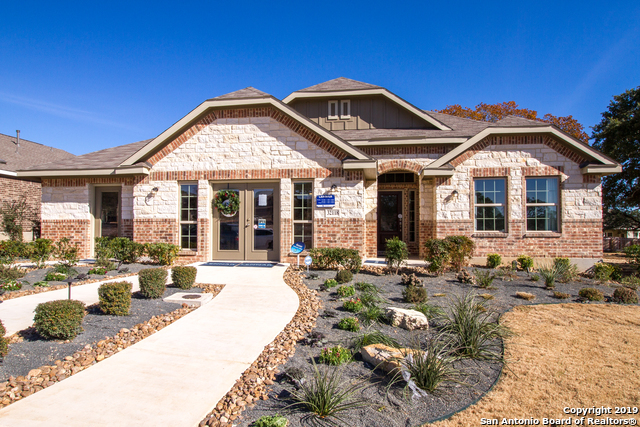 Nestled in the Bulverde Hill Country, in a gated section of Johnson Ranch Community. Built on an estate home site, a corner home site and a cul de sac street, this is a highly desired home site! With a backyard facing south east you an enjoy the large and private patio. This one story home is full of natural light, windows and boasts 12' ceilings in the entry and 13' ceilings in the great room with a tray ceiling treatment. 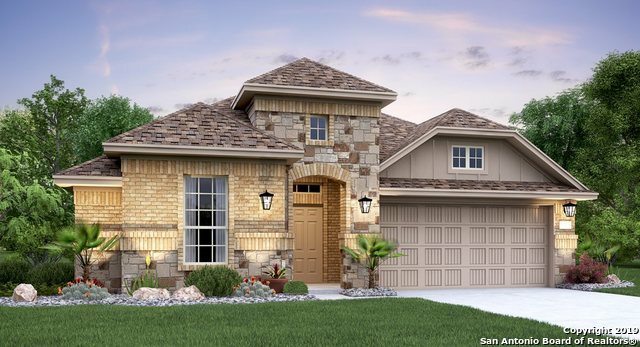 It includes a large game room,"
"New Construction Monticello Home, nestled in the Bulverde hill country, a gated community in Johnson Ranch on an ESTATE HOME SITE. This home is located on a cul de sac street and is on a green belt. With stunning curb appeal, this grand 1 story home boasts 12' ceilings at the entry and great room, 2 patios, a wine patio and a rear patio. A light color palette with creamy white kitchen cabinets, sprawling kitchen island and lots of natural light. Walk in closets at every bedroom/bay windows dinin"
"Immaculate, Village Builder custom home in gated Johnson Ranch subdivision. This pristine 4 bedroom, 3.5 bath home boasts soaring ceilings, open floorplan, private study, & upstairs gameroom. Gourmet kitchen with 6 burner gas cooking, SS appliances, & outstanding amounts of storage and counter space. Spacious, downstairs master suite features separate tub & shower, dual vanities, & large walk-in closet. Pride of ownership shows throughout this exquisite, lightly lived-in home. Highly desired Com"
"This luxurious two-story home located in Johnson Ranch has 5 bedrooms, 3 full baths, media room, and a game room. The kitchen island overlooks the family room and dining room. Beautiful architectural features are seen throughout this finely appointed home." "This luxurious two-story home located in Johnson Ranch has 4 bedrooms, 3 full baths, with a huge flex room upstairs. The kitchen island overlooks the family room and dining room. Beautiful architectural features are seen throughout this finely appointed home." 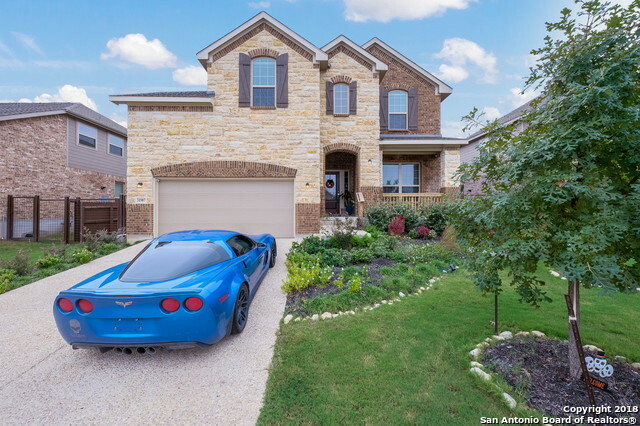 "Located in the highly desirable Texas Hill Country. This 1.5 story, 4 BR/3 FBath/1 HBath, sits on a green belt in the acclaimed Johnson Ranch subdivision. 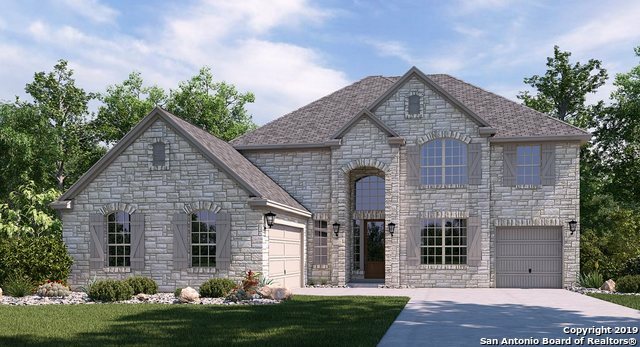 The home boast a large open floor plan with an added game loft upstairs. The Kitchen includes a granite island, stainless steel appliances, gas cooking. The home is walking distance to elementary school & firehouse. Minutes away from US 281." "Open floor plan w/ high ceilings. Large master, 2nd bedroom and office downstairs. Elegant wood floors downstairs. Large kitchen with granite is open to breakfast & family room w/ fireplace. Upstairs; game room, 2 bedrooms & an area for movie/reading room. Outside enjoy a private backyard that overlooks the ranch w/ gas grill hook ups. Refrigerator, faux wood blinds and water softener convey. 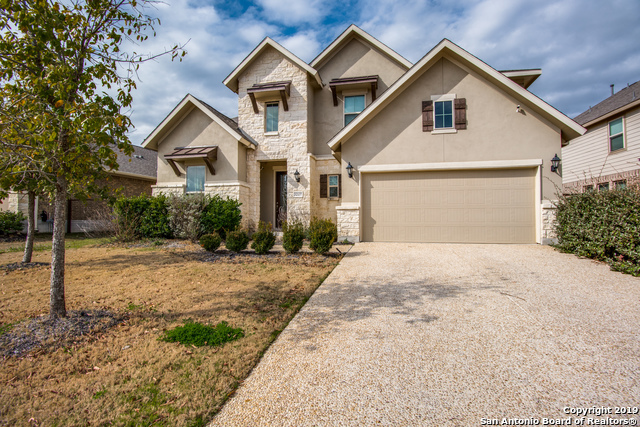 Located in award winning Comal School District; within walking distance to JR elementary. 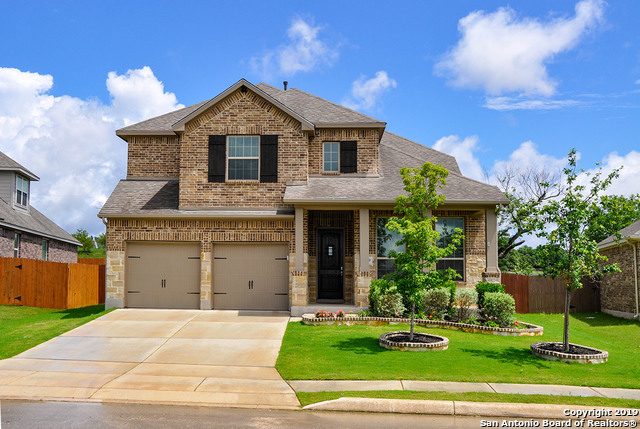 Home Wnty Incl"
"This luxurious one-story with a bonus room option has a beautiful foyer that leads to the gorgeous dining room with a bowed wall. A convenient butler's pantry leads to your gourmet kitchen. Many beautiful architectural features are seen throughout this finely appointed home." "This is a can't-miss opportunity. Located in an established, yet newer subdivision next to the elementary school, this immaculate home boasts size and style for anyone needing more room to grow with 3439 square feet, 5 total bedrooms, 4 bathrooms, and a bedroom and bathroom downstairs to act as your own mother-in-law suite. 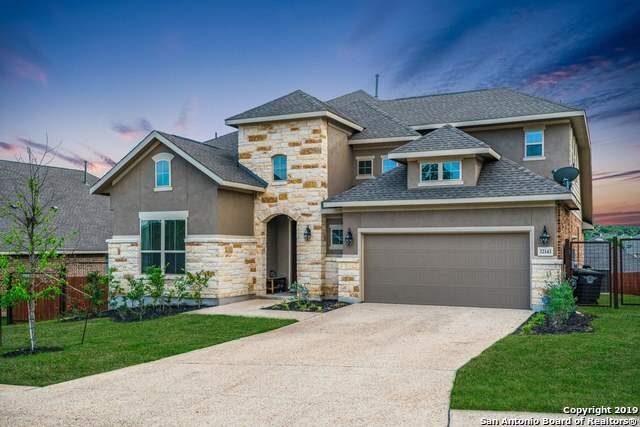 Wood floors, a covered back patio, a large kitchen island, an upstairs gameroom, a downstairs master, and gorgeous landscaping are just a few of the reasons to call this hous"
"Stunning, Like New Highland home nestled on a Greenbelt in Gated Johnson Ranch Features 5 Bedrooms, 4 Baths, Office, & Game Room. 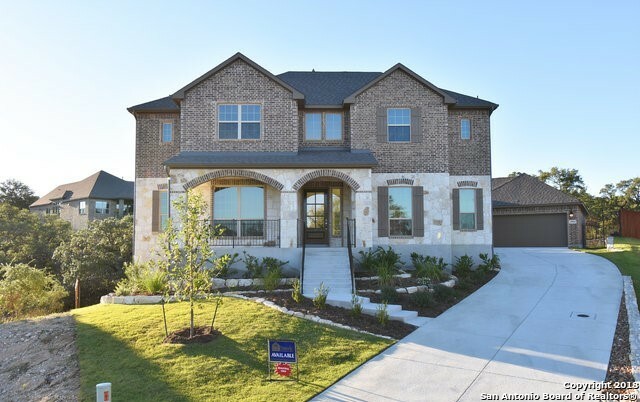 Secondary Bedroom w/ Full Bath & Master Suite Downstairs.Gleaming wood floors greet you as you enter this pristine open floor plan home.Elegant kitchen offers granite counters,gas cooktop,custom backsplash & opens to spacious family room w/ beautiful rock fireplace. 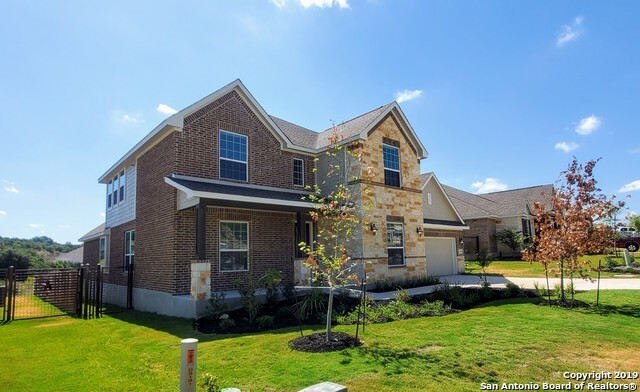 Relax on your covered patio overlooking mature trees & a level backyard.Comal ISD & Johnson Ranch E.S. " "Entering this one story, you find yourself in an opulent foyer with coffered ceilings and art niches, which open up to formal dining and the beautiful French doors to the study. The open hallway leads to the spacious kitchen and family room with a view to your backyard from every angle." "SHUT THE BARN DOOR!! Casual luxury is what you'll come home to in this coveted Johnson Ranch home. WHAT'S DIFFERENT ABOUT THIS ONE?! I'M SO GLAD YOU ASKED!!! How about RELAXING on your very own BALCONY?! NEED A 5TH BEDROOM? OK!! How about NO BACK NEIGHBORS- EVER!! And of course, let's add the beautiful GREEN BELT TRAILS RIGHT BEHIND YOUR HOME just waiting for the whole family to walk the dog and make memories together! So what are you waiting for?!!! 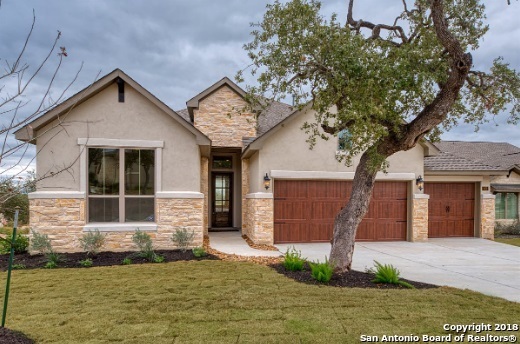 Let's get you started ENJOYING YOUR NEW LIFE"
"This luxurious one-story home located in Johnson Ranch has 4 bedrooms, 3 full baths with a retreat room to be used as a study or play room. The kitchen island overlooks the family room and dining room. The master bath features a grand walk-in shower and double vanity. A three car garage features generous storage space. Beautiful architectural features are seen throughout this finely appointed home. 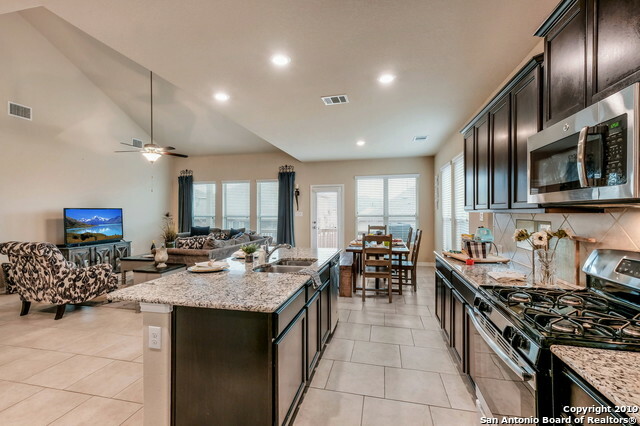 **Photos are of Gilson model in Ventana. Colors and options may vary. **"
"This spacious 2 story home with 5 bedrooms, 4 bathrooms, 2 living rooms & open floor plan is located on a cul-de-sac. Downstairs is a large master bedroom with an on suite along with a 2nd bedroom with a full bath close by. Kitchen features granite counter tops, lots of cabinets, stainless steel appliances & walk-in pantry. Relax on covered backyard patio as your outdoor living. Patio also has a gas outlet for grilling. Walking distance to Elementary school. All this home needs is you. 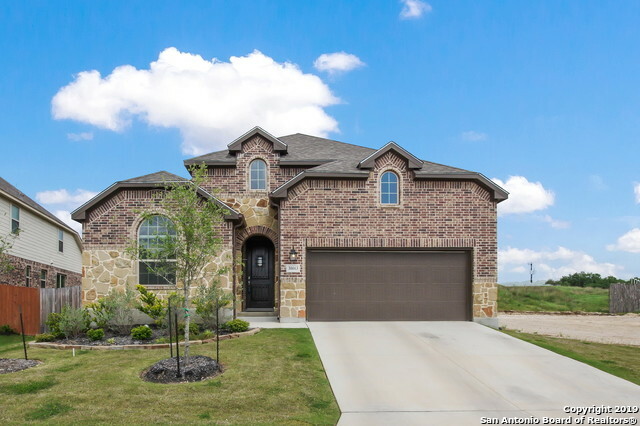 Ma"
"4 Bedroom, 3.5 Bath in Johnson Ranch! Light filled, open and airy. Neutral grey tones throughout. Open-concept living and kitchen. Includes formal dining and office. Gourmet kitchen contains ample storage, stainless steel appliances - an entertainer's dream. Master down with double vanity master bath. Second level features loft space - perfect for play space or second living, 3 bedrooms and 2 full baths. 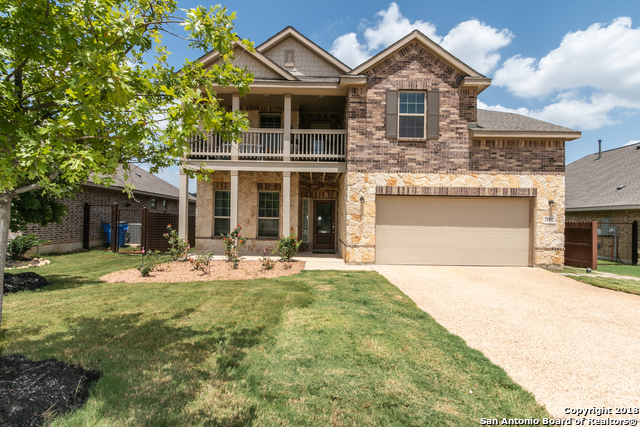 Great schools and easy access to 281! **PLEASE VIEW VIRTUAL TOUR!! **"
"Covered patio, private backyard and extra storage areas throughout.Better than new gorgeous home with 4 bedroom, 2 & 2 half baths home. Features an open floor plan with a half bathroom located on each level. Beautiful lower level with vaulted ceilings. Kitchen has an abundant of cabinet space, SS appliances, gas cook-top, water softener with reverse osmosis and large granite island to extend the cooking area. Tile in the common areas, wood flooring in study and carpet in the bedrooms. Covered pa"
"Gorgeous 2 story, 4 bedroom, 3.5 bath home is move in ready. Stucco and stone exterior opens into large atrium style entry with beautiful staircase. Oversized kitchen awaits its next event with grand eat at island. If cabinet storage is what you are looking for this kitchen, pantry and butlers pantry is ideal for you. With gorgeous views of surrounding area and master bedroom and beautiful spa like bathroom and secondary bedroom down this home would love to have you as its next owner." "Well appointed one story home on GREENBELT in Johnson Ranch. Spacious and open floorplan includes 4bdrms, 3bths and study. Gorgeous island kitchen w/ gas cooking & granite counters, opens to the family room which features rock fireplace and high ceilings. Large master bedroom features a spa like en-suite w/ walk-in shower and garden tub. Home is walking distance to elementary school & firehouse. Great neighborhood amenities! Comal ISD!" 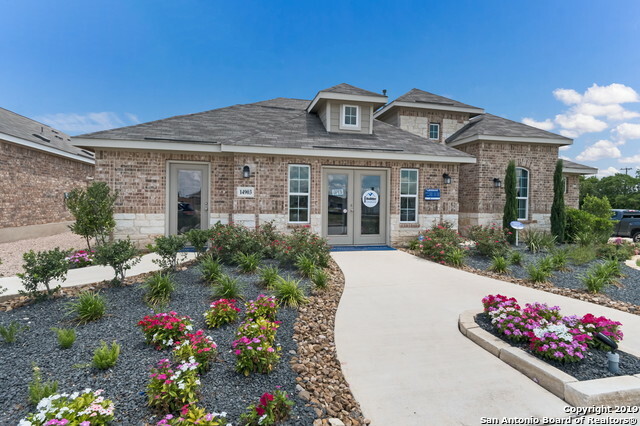 "LENNAR Jasper is a 3 bedroom/2bath home. Gorgeous open floor plan. READY IN JUNE!" "MOTIVATE SELLER. The kitchen and living areas have tons of room for large gatherings. The backyard has a built in gas grill with a covered patio. Customer built rain shower. Large master closet with extra storage space. Bonus game room and bedroom with full bath." "This luxurious one-story home located in Johnson Ranch has 4 bedrooms, 3 full baths with a retreat room to be used as a study or play room. The kitchen island overlooks the family room and dining room. The master bath features a grand walk-in shower and double vanity. A three car garage features generous storage space. Beautiful architectural features are seen throughout this finely appointed home. **Photos are of Rosso model in Hidden Trails. Elevation, colors, and options may vary. **"
"Come see this beautiful 4 BR/3 FBath/1 HBath home situated w/in the sought after gated community of Johnson Ranch. Plenty of natural light brightens this open space floor plan. The main living room flows nicely with the kitchen and breakfast nook. The kitchen boasts a large granite top island, custom cabinets, SS appliances, gas cooking. The 2nd living area can also be utilized as a game/media room. Enjoy the covered patio and spacious backyard. Amenities incl. clubhouse, park, pool, sport cou"
"This luxurious one-story home located in Johnson Ranch has 4 bedrooms and 3 full baths. The kitchen island overlooks the family room and dining room. The master bath features a grand walk-in shower and double vanity. A three car garage features generous storage space. Beautiful architectural features are seen throughout this finely appointed home. READY IN AUGUST!"